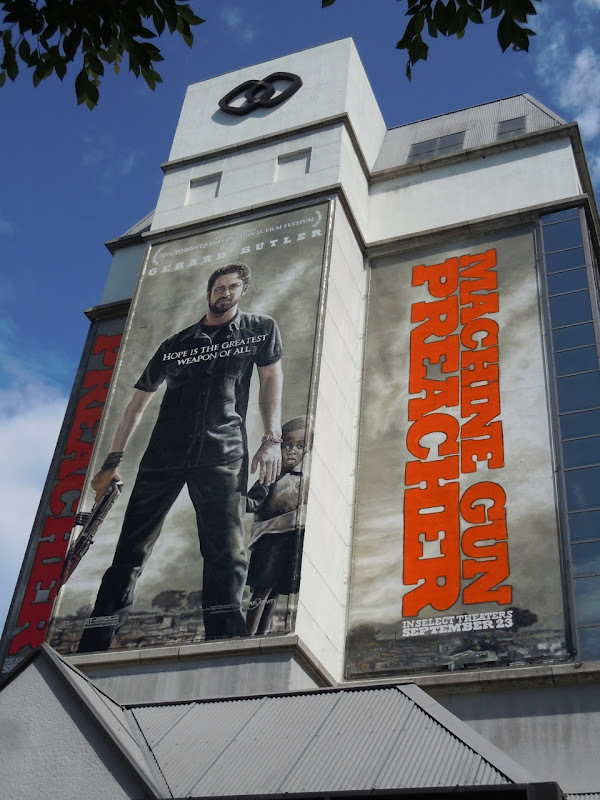 If the film's title wasn't enough to grab your attention, this giant billboard for Machine Gun Preacher should turn some heads. 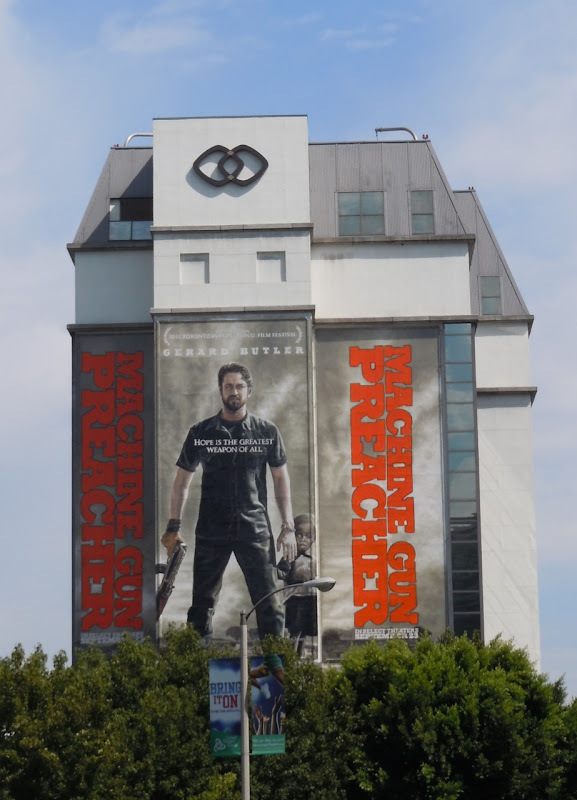 Gerard Butler is the former drug-dealing biker, 'Sam Childers', who finds God and becomes a selfless crusader for hundreds of orphaned Sudanese children who have been forced to become soldiers. 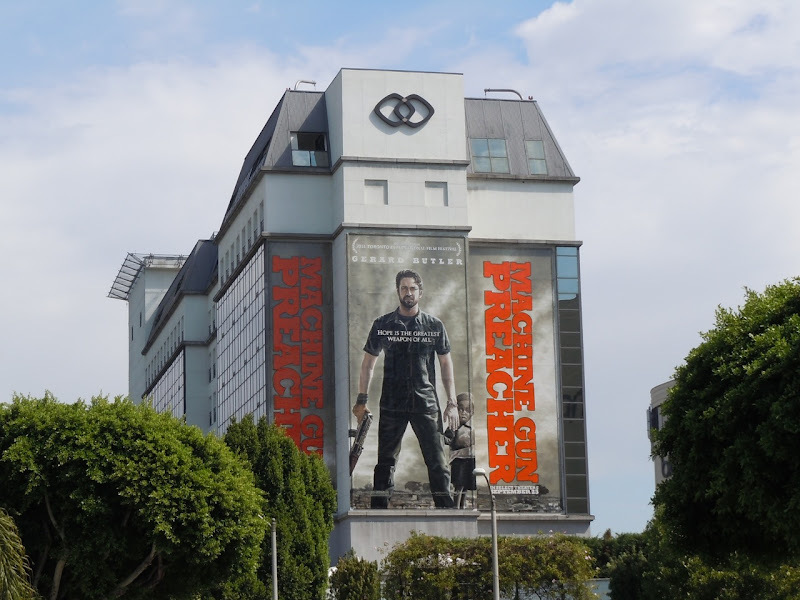 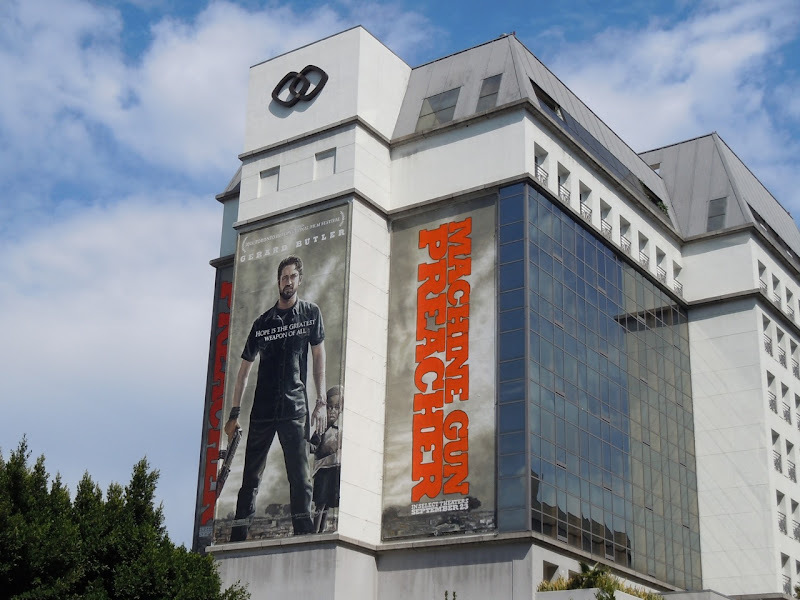 This super-sized billboard for the biopic movie was snapped along Beverly Boulevard on the side of the Sofitel Hotel on September 22, 2011.